Since I’ll be seating in an IMAX theater today watching Christopher Nolan’s final Batman film, no real post will be coming forth today (plus, it’s been too busy of late). So, I’ll leave this musical interlude in its place. From the 13th track (I like that number for some reason), the closing credits, from the original soundtrack to Batman Begins. Hans Zimmer’s percussions in the piece do attract a lot of the attention, but give credit to composer James Newton Howard for the stirring other parts in this wonderful movie movement. Have a great weekend everyone. Did/does James Newton Howard have a hand in all the Batman soundtracks or just BB? JNH also collaborated with Zimmer for ‘The Dark Knight’ soundtrack, but not on this most recent film, Paula. Thanks for reading (and listening) ;-). 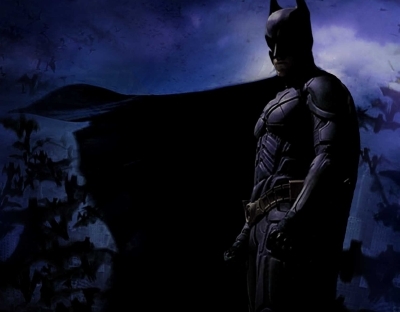 DKR is epic and a great conclusion, anyone who doesn’t like this seems to nit picking and most likely hasnt seen all the movies. Hope you like it! Agreed! I’ve been thinking about nothing else since I saw this yesterday. I can’t wait to take my son to the nearby IMAX next weekend to share it with him. I think it’ll get better on subsequent viewing. Thanks, mummbles. I am also eager to see it again and take it all in again, so glad you liked it! Well now that I’ve seen TDKR, Batman Begins still stands as my favorite of the trilogy and the soundtrack is definitely the best. Great pick, Michael! Great to hear, Ruth. Thanks. I have seen it and I think it’s a good movie, I couldn’t say it’s great. Will you review the Movie, Mike? Thanks, Novroz. No, I’ve no plans to review the film as there is already quite a number of great reviews out there covering the good, bad, or (rarely) indifferent thoughts on this summer blockbuster. I think my favorite, and probably closer to my overall thoughts on the film, was blogger Darren Mooney’s. He has two versions out there: spoiler-lite and spoiler-free. I’m watching it again this weekend with my son. I suspect this is another of Nolan’s that will only get better on subsequent viewings. I look forward to it, Novroz. Differences of opinion makes going to the movies that much more fun. Thanks.